Metalysis, the Company behind a disruptive technology for solid-state metals and novel alloys production, today announced its arrival at South Yorkshire’s Advanced Manufacturing Park (“AMP”). At its new Materials Discovery Centre, Metalysis will carry out bespoke, commercial R&D projects to produce exotic metal powders for high performance alloys of growing demand among additive manufacturing applications, such as the aerospace and automotive industries. Its first new customer, rare earth miner Mkango Resources, announced 20 March that it had signed up Metalysis for a commercial R&D programme to develop 3D printed rare earth magnets for electric vehicles. More than 200 company executives, researchers, scientists, politicians and financiers visited the Materials Discovery Centre to learn more. Metalysis held an exhibition within the factory, titled The Future of Solid State Metal Processing, and a one-off chance to tour the Company’s new operations. Live experiments, powder processing, presentations and even a lab turned into a cinema provided multiple platforms to map out the Company’s ambitious plans for further growth. 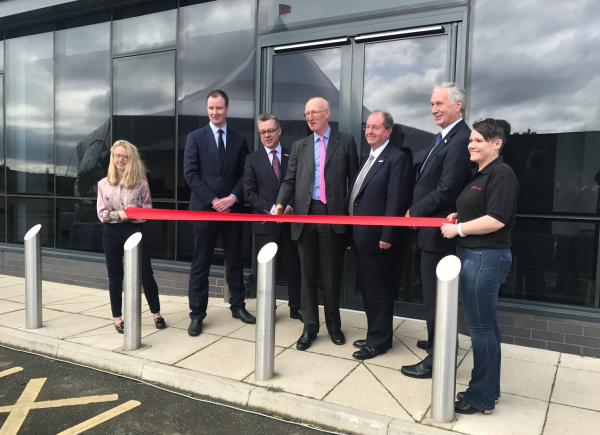 Metalysis has committed approximately £10 million to creating the Materials Discovery Centre and at its Materials Manufacture Centre in Wath-upon-Dearne, where the Company is completing its ‘Generation 4’ technological expansion, taking production capability to new levels. Generation 4 will enable ‘Generation 5’, which Metalysis anticipates commencing this calendar year: manufacturing options for thousands of tonnes per annum of high value metal alloy powders. Post expansion, Metalysis will employ at least 100 people across its South Yorkshire sites and recruitment has begun in earnest. The workforce will receive its first boost in May when four traineeships begin, and talks are ongoing to create local apprenticeships, adding to its operations, R&D, analytical services and administration business functions. Metalysis will also continue its tradition of creating work placement opportunities and supporting school career activities for science, technology, engineering and maths (‘STEM’) students from local secondary schools, having last year created four positions. Dion Vaughan, CEO of Metalysis, said: “Here at our new Materials Discovery Centre, Metalysis will carry out bespoke, commercial R&D projects to produce exotic metal powders for high performance alloys used by customers such as the aerospace and automotive industries. Titanium compositions for light-weighting vehicles, High Entropy Alloys for aero-engines and Rare Earth elements for permanent magnets for electric vehicles are a few examples of the projects we are working on. Lord Prior of Brampton, Parliamentary Under Secretary of State at the Department for Business, Energy and Industrial Strategy (BEIS), added: “Through our Industrial Strategy we will support sectors across the UK by commercialising and building on our scientific and research strengths to deliver real-life solutions that have a global impact.